There are four children in our family and I’m the oldest. Things are not running smoothly in our family because neither of my parents are doing steady jobs. My father is doing boda boda while my mom is crushing stones for people within the village. Sometimes I get to go to school at Namisi primary in class one. However, I only get to go part time because of the lack of school supplies and fees. My parents can’t afford paying for my school fees there at Namisi and since I joined that school I haven’t gone to school with school uniform and I have no shoes to wear. I don’t have pen, paper or exercise books to write on either. Sometimes my classmates make fun of me because of my tattered dress and I am bare foot. Because of this, I am sad and it effects my performance at school. I want to be an airline pilot but things are not looking for me right now. I can’t fulfill my dream if I am not educated Therefore, I can only fulfill my dream of becoming an airline pilot when I get support from others. My parents will not make it unless miracles happen and they get good jobs. I also like singing, dancing, praying, cooking and ballgames. 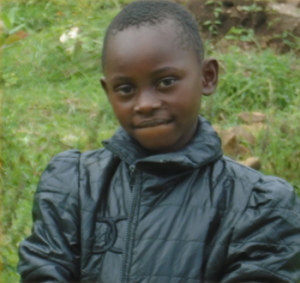 When you sponsor a child like Daisy Wangila, you not only help this individual child. But helping Daisy also helps his community. We are building a self-sufficient, eco-friendly Children’s Village. Part of your donation will go towards building schools and houses so that Daisy can have a brighter future. Here is how you can sponsor Daisy.